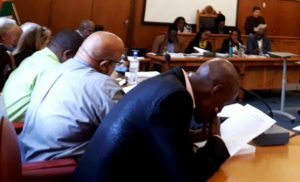 Extraordinary political developments leading up to and during the Council meeting on Wednesday 25 July overshadowed even a game-changing collaboration between green energy trader Power X and Makana Municipality. Makana Executive Mayor Nomhle Gaga survived a motion of no confidence in a full council meeting and a stand-in was named for the Infrastructure director, who has been suspended for the duration of an independent investigation into allegations of financial misconduct. And today, a full week after the Council approved a candidate for the urgent appointment of a permanent municipal manager, the MEC has still not received statutory documentation. 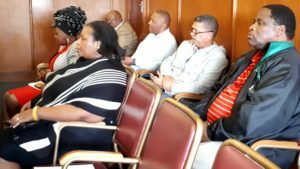 Ndlambe Mayor Phindile Faxi was among those in the Council Chamber public gallery who, along with other senior ANC Regional Executive Committee members, listened to five hours of Council proceedings Wednesday 25 July to observe the outcome of a motion of no confidence against Gaga. The motion, tabled in the full Council meeting by DA caucus leader Mlindi Nhanha, was defeated in a secret ballot. Of the 23 councillors present, seven voted in favour of it and 16 against it, leaving the Mayor at the political helm of the institution. Councillor Aldie Meyer led a prayer for councillor Nomakhwezi Mtwa who passed away on Saturday. Her EFF colleague Mzwandile Qotoyi was absent, as were Mthunzi Fatyi and the bereaved Darryn Holm. A three-part agenda included a report on the Municipal Public Accounts Committee. In presenting it, the Committee’s chairperson Councillor Ramie Xonxa quoted former Public Protector Thuli Madonsela’s statement on ethical leadershipat a recent SA Local Government Association summit. Xonxa was praised across party lines for his work. The report dealt with irregularities around the Alicedale Roads and Stormwater project. Razz Amadwala was the contractor for Phase 1 of the project and the report noted that this phase had been riddled with problems including that the contractor and consultant were not on site, excess building material was bought and stored on site, workmanship was of very poor quality and although the contractor was paid around R4 million (70% of the contract amount) Razz Amadwala had failed to pay some suppliers and SMME contractors. Progress with the second phase, under a different contractor, was good, with good-quality worksmanship. The item was significant because a report questioning supply chain management processes around this project, as well as for the extension of the indoor sports centre gymnasium, are among the allegations that will be examined by an independent investigator over the next few weeks. The reports were tabled at a 5 July Council sitting. 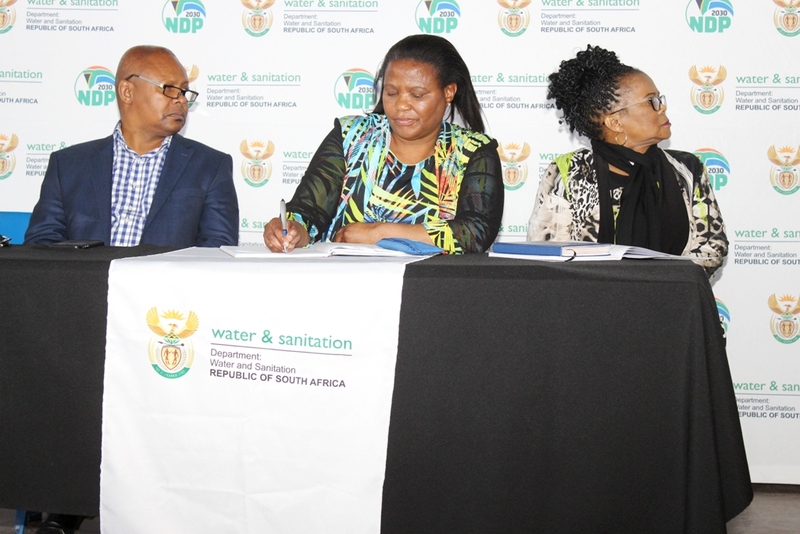 Infrastructure and Technical Services Director Dali Mlenzana was named in the reports because he had been acting municipal manager with sign-off powers for certain periods last year. A seven-day period followed in which he was required to provide reasons why he should not be suspended. Sources say Mlenzana submitted substantial documentation to this end, with detailed explanations as to why the allegations were unfair and unfounded, accusing those behind the process of conducting a witch-hunt. In a confidential session of the 25 July meeting, a decision was taken that Mlenzana be suspended pending independent investigations into five allegations tabled at the 5 July meeting. Sources say the results of the investigation are expected to be tabled to Council by 20 August. These will be discussed in Council and a decision made there about the Infrastructure directorship. One of the allegations that will be investigated is that the salary of a senior manager was increased without proper procedure being followed. This is relevant because an item in Wednesday’s agenda dealt with the grading of Makana Municipality. According to the Municipal Systems Act, the Minister for Co-operative Governance and Traditional Affairs (Cogta) annually determines the salaries of senior managers according to different categories of municipalities. These categories are determined taking into account the size of the population the municipality serves. The motion of no confidence was the second-last item of the open agenda in yesterday’s meeting. In a robust and strongly argued debate, proposer Mlindi Nhanha, the DA’s caucus leader, was at pains to emphasise that while he bore no personal animosity towards Gaga, she had run her course when it came to sound and strategic leadership in the municipality. Gaga responded to the main reasons cited in the motion. These were the failure to ring-fence Eskom revenue to ensure payment and thus secure the municipality’s continued supply; the failure to curb the municipaity’s excessive overtime bill; the recent water quality problems including e.coli infection of municipal supplies and continued turbidity in the supply. The Speaker agreed to a secret ballot and the motion was defeated 16 to seven. However, the councillors filled in their voting forms where they sat, alongside fellow councillors, before rising to place them in a ballot box. This, the DA says, meant voting was not in fact secret. “We put forward a compelling argument during debate, but ANC councillors could not have been expected to vote right,” Nhanha said. “The presence of the ANC REC intimidated those who wanted the Mayor gone, but were made to mark their ballot papers from their seats, making it impossible to be entirely secret. “The DA still does believe the Mayor has run her race, that she is out of fresh ideas, and that it’s time for her to step aside,” Nhanha said after the meeting. He confirmed that Faxi had attended as acting REC chair, along with Treasurer Johannes Hobbs and member Nonqubela Peters. In line with the ANC’s constitutional requirements, they had been there to guide the caucus on Council processes, Njadayi said. Meanwhile, as Makana Municipality enters its sixth year without a permanent municipal manager, a full week after the Council agreed on one of three candidates shortlisted for the post, the MEC for Cogta in the Province, Fikile Xasa, has still not received documents from Makana submitting the selected candidate. 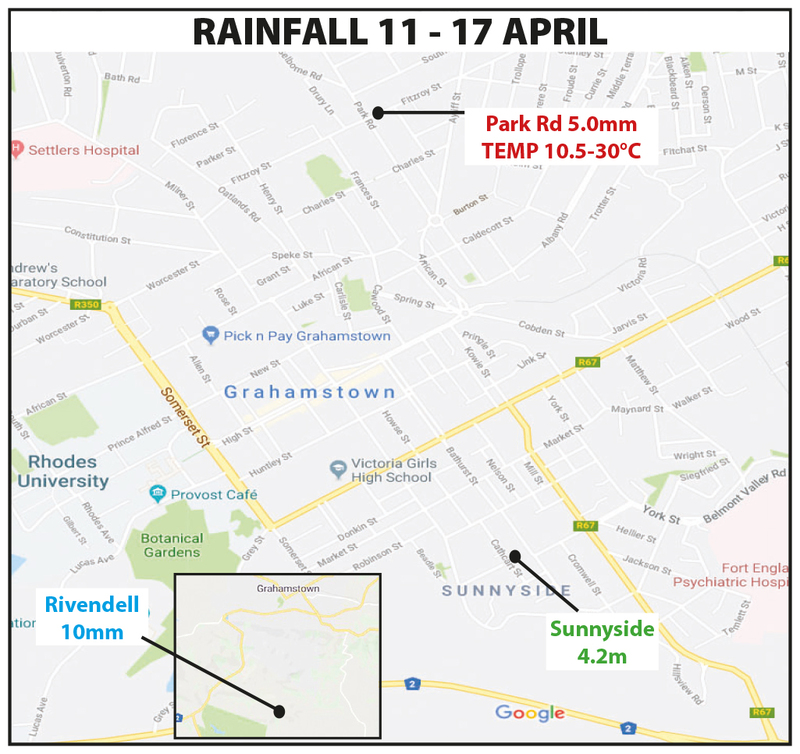 Councillors across the political spectrum expressed strong concern about a candidate approved in a confidential Council session Thursday 19 July for the position of Municipal Manager. The municipality’s leadership has attributed many of its problems to the absence of a permanent chief accounting officer, who should provide leadership and stability. However, experienced councillors from both the ANC and DA expressed shock that of three candidates, the one who scored the lowest on a competency matrix was the one selected. The candidate scored “basic” on people management, financial management, change management, governance leadership, analysis and innovation, knowledge and information management and results and quality focus. They scored “competent” on strategic direction and leadership, program and project management, moral competence, planning and organising and communication. A second candidate score “competent” on all except change management which was “basic”. The third candidate scored “advanced” on several competencies, and “competent” on the rest. WHAT DOES THE MEC’S ‘CONCURRENCE’ MEAN? “The MEC’s concurrence is based on process only,” spokesperson for Cogta in the Eastern Cape Mamnkeli Ngam said. “If all the boxes have been ticked, the MEC does not have a leg to stand on. If all the necessary documents have been included in terms of the person’s qualifications and the vetting process, he can’t object. He does not participate in the detailed process of selection. Makana is the employer,” Ngam said. The MEC’s concurrence is required before a candidate is officially appointed. With Makana’s inability to raise sufficient revenue playing a large part in its continued financial crisis, consultant Kagiso Trust has been appointed by Cogta to assist with revenue collection. A ground-changing collaboration between green energy trader Power X and Makana Municipality was overshadowed by the week’s political developments. 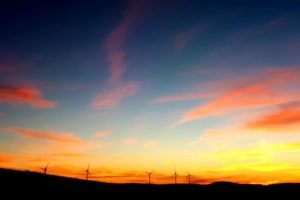 In brief, the agreement signed last week allows Power X to invite prospective independent power producers (IPPs) to generate renewable (green) energy. Power X, as the trader, will be able to sell this to municipal customers through Makana’s grid. Advantages include improved environmental sustainability through the harnessing of green energy from IPPs, and a model that through an upfront cost escalation clause, allows better long-term financial planning for businesses that choose to operate in the Makana Municipal area. 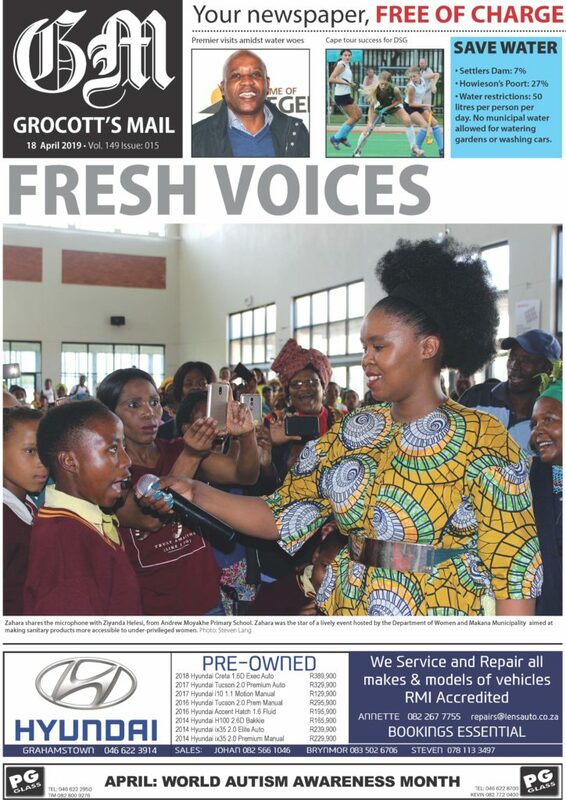 Grocott’s Mail will report on this in greater detail online (www.grocotts.co.za and follow our Facebook page), and in a coming print edition.